The international skiing federation FIS has decided to appeal the 13-month suspension of Norwegian skier Therese Johaug for her use of a lip cream to treat painful lip sores. She has claimed she was unaware the cream contained a steroid for which she tested positive last summer. 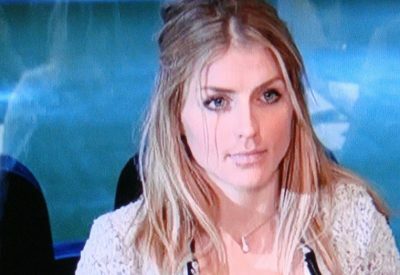 The FIS board is clearly not satisfied, however, with the severity of Johaug’s punishment. Even though the cream was given to Johaug by the Norwegian national ski team’s own doctor, who claimed it was safe to use and has since resigned his position in shame, the FIS officials claimed on Tuesday that a 13-month suspension was in the lower range of what’s considered a “reasonable” suspension when athletes ingest banned substances. Norwegian Broadcasting (NRK) reported Tuesday that FIS also claimed that the 13-month suspension handed down by a sports judicial panel in Oslo last month does not reflect how Johaug herself failed to read the doping warning on the lip cream’s package. The cream had been purchased by the ski team’s doctor at a pharmacy in Italy, where the team was training at the time. FIS thus suggests Johaug was negligent and should be suspended for longer than 13 months. Now it will be up to a Swiss court of arbitration to decide Johaug’s fate. Johaug’s lawyer told NRK that Johaug was “disappointed” by the FIS appeal but that she still hoped her current suspension would stand so she could be back in official action when it expires on October 18. Neither the International Olympic Committee, Antidoping Norge (which had recommended a 14-month suspension) nor Johaug herself had opted to appeal. The suspension has already ruined this year’s ski season for Johaug, who earlier has won multiple gold medals in the World Championships, the World Cup and the Olympics. She ranked as the best cross-country skier in the world last year, and had been looking forward forward to this year’s World Championships when her doping nightmare began. She thus missed the championship competition that ended last weekend, with her fellow teammates continuing to dominate the sport. They have continued to support her, even as Norwegian ski queen Marit Bjørgen regained her crown in Johaug’s absence. Bjørgen, meanwhile, testified in Johaug’s behalf during her doping trial in January. As she trains alone this season, with no backing from Norway’s national sports apparatus during her suspension, Johaug has been motivated by the prospect of a return to international competition this fall. Her main goal has been the Winter Olympics in 2018, but now all that has been thrown into jeopardy because of the FIS’ appeal. “From a Norwegian point of view, it’s of course tragic that this will disturb Therese in her drive towards the Olympics,” sports attorney Gunnar Martin Kjenner told NRK. Some commentators said they feared the FIS’ appeal would ruin Johaug’s participation in the next Olympics in addition to the World Championships this year.